ShortScale :: View topic - Your "setup of the day"
Yamaha A3M. I'm not even plugging in my electrics lately. Just enjoying them unplugged. My pedal board is on point. 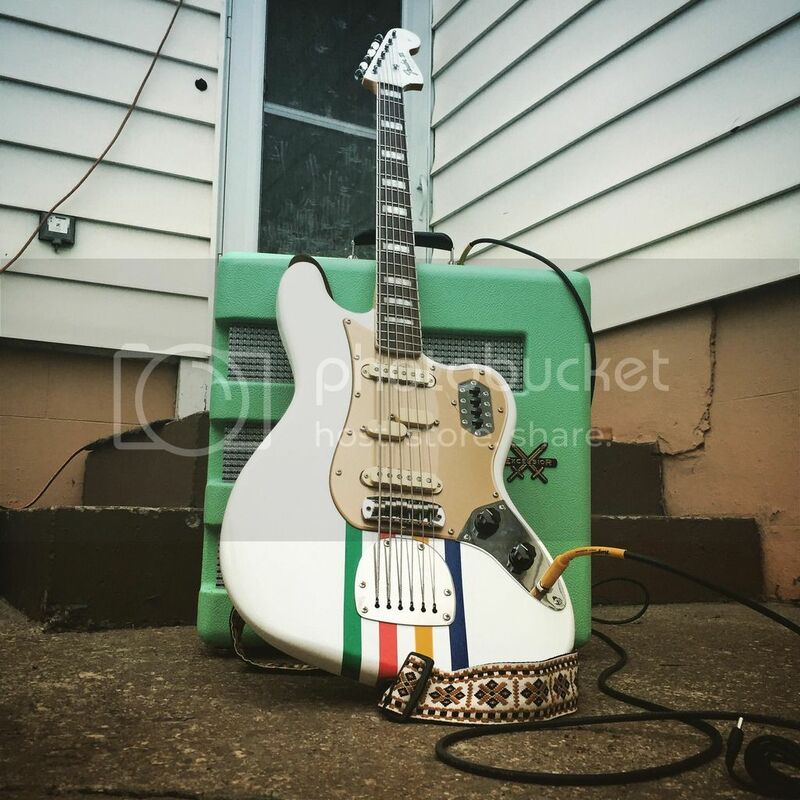 Is that a Baja Telecaster? What do you think about it? Had my eye on one of those for a while. 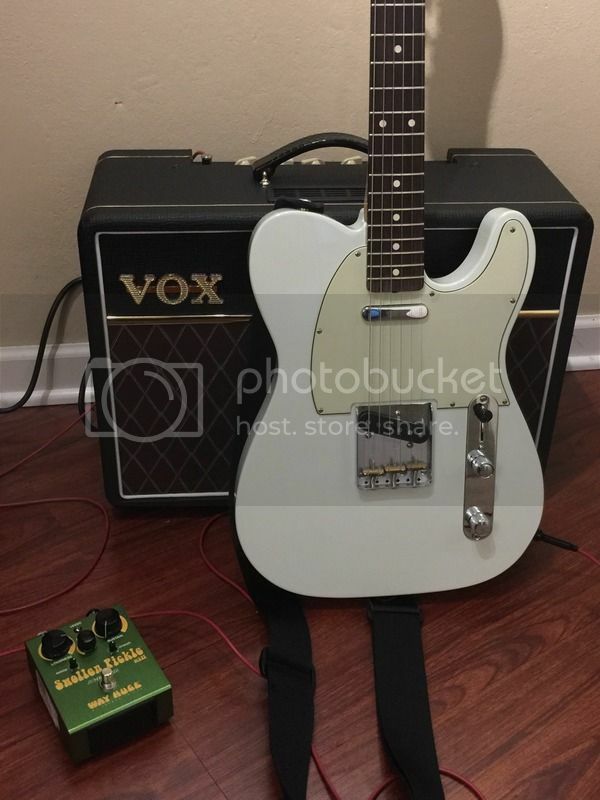 I know rosewood/sonic blue might not be standard Tele fare but I think it looks ace and I think I'd prefer the thinner neck on the 60s Baja compared to the normal one. Like the sound of the switching options too. 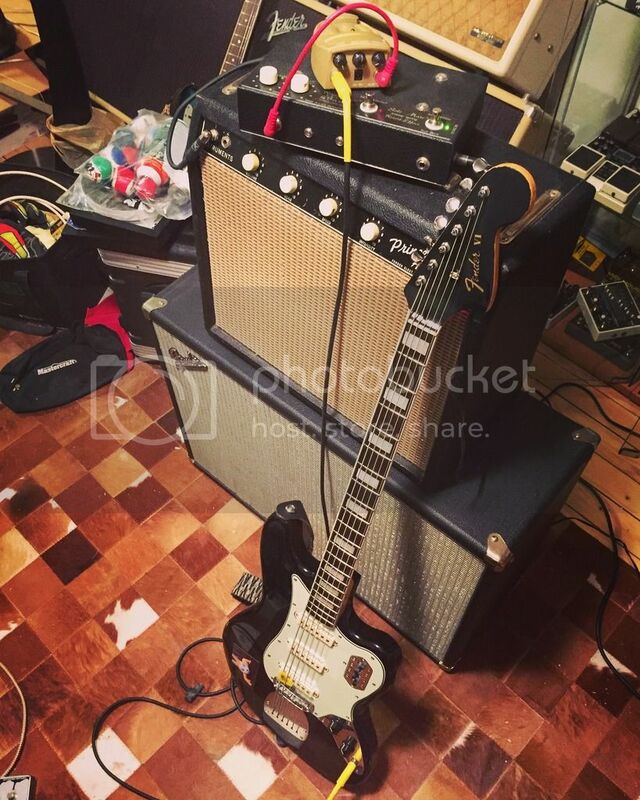 Yo, what's the pedal-slash-ringbinder on top of the amp? It's a great guitar...if you like that classic fender twang. Sounds great with Fuzz...it has many tonez too. It looks more white in color in person, but when photographed it looks blue. I picked one of these up used for $75.00. Came with the AC adaptor, but missing the carry strap. Just using the batteries for it now. I'm not planning to record any albums with it, but it's convenient and sounds nice clean. Finally found my holy grail of amps. A Pignose Crossmix 150R with two ten inch speakers. I already owned the same with one twelve inch speaker, but it never thrilled me the same way I recalled my buddies did. I thought that maybe my memories of that amp weren't very accurate and that the passing of time had allowed my mind to exaggerate how good it actually sounded. Now I own both and have had the chance to A and B them on my work bench. I've decided that given the choice between an amp with one twelve inch speaker and one with two ten inch speakers I will choose the two tens. My next purchase will be a Radial Engineering Twin City ABY pedal, so that I can play with switching between amps and combining them.